Somewhere, in a small village in the middle of a land burning with the fires of revolution, there is an inn. The innkeeper is a massive man, with hair red as flame, but most of the time he seems remarkably unremarkable. A relative newcomer to this tiny village, an outsider, but otherwise not worth particular notice. Except…every so often, when he forgets himself or thinks no one is watching, his eyes light with an inner fire that seems it could set the world ablaze. The name he gives his new neighbors is Kote, but he was born Kvothe, one of the Edema Ruh, and that name is spoken in whispers across the land. Kvothe the Bloodless, they say. Slayer of dragons. Musician without compare. Kingkiller. 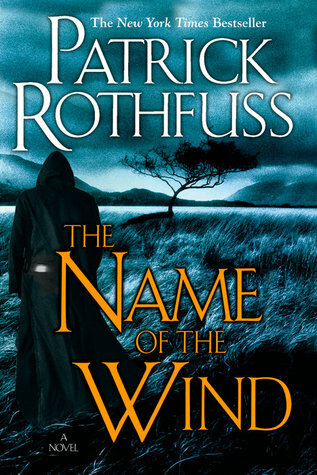 Come listen in, as Kvothe tells the long and twisting tale of his life and adventures…. CONTENT: Probably some R-rated language, but I honestly don’t remember any. PG-13, for sure. Definitely some violence, ranging from the fairly dark and a bit disturbing to harmless mischief. Some sexual innuendo, but nothing explicit yet. Later books? Not sure. Mild fictional drug content. There’s definitely magic and talk of demons, but it’s not occultic. The magic is part of the fabric of creation, and the demons are superstitious interpretations of monsters from the land of the Fae…which doesn’t do much to comfort those slain by them, to be sure.